A rendering of the planned Henry Ford Medical Center at Village of Bloomfield in Bloomfield Township. Henry Ford Health System is planning at least two other new outpatient medical centers in Bloomfield Hills and Macomb County and two expanded medical centers in Royal Oak and Downriver to further build out its 28-center network in metro Detroit, health system officials say. Looking to provide care closer to patients in a less costly and more convenient way than hospitals can, six-hospital Henry Ford also wants to stay ahead of its competitors, which include health systems like Detroit Medical Center, Beaumont Health and Ascension Health in Southeast Michigan, but also a growing number of physician and corporate-owned outpatient centers. As medical technology improves and payers reward doctors and hospitals for outpatient care, health systems and providers are spending millions of dollars on urgent care and larger multi-specialty ambulatory medical centers. A new study found that hospital emergency department visits were 30 percent lower in communities with access to walk-in, no-appointment medical services at urgent-care or ambulatory care centers compared with communities without those services. Also, the cost of care for the same conditions or illnesses in hospital ERs are about 10 times as much as in urgent care, according the Urgent Care Association of America. "We recently went through a refresh of strategic plan and reaffirmed that we have geographic gaps and capacity issues in ambulatory and clinical areas in multiple markets," said Bob Riney, Henry Ford's president and COO. "We have a multi-year plan to address this." Henry Ford's outpatient center strategy includes 28 medical centers in Southeast Michigan that offer a range of services provided by Henry Ford's 1,200-physician employed medical group. It also offers more than 60 clinical office locations. Riney said Henry Ford has no plans to add urgent care centers. It currently operates four freestanding urgent care centers and four others connected either with hospitals or medical centers. Since the Affordable Care Act of 2010 expanded primary care, the number of urgent care centers has exploded in Michigan and nationally as patients seek to avoid a steep emergency room bill or visit more convenient health care settings. Data show there are more than 350 urgent care or walk-in clinics in Michigan, including more than 45 within 20 miles of Detroit, according to Urgent Care Locations LLC. Urgent care centers typically provide basic nonemergency services, wellness checks and occupational health services. Nonemergency services that include fevers, coughs, upper respiratory infections and sore throats, along with muscular and bone injuries can be treated in urgent care settings. Most health insurers in Southeast Michigan contract with urgent centers because of their lower cost compared with emergency rooms. DMC plans to open at least two more urgent care centers under the MedPost banner in 2019, locating most in Detroit but also in the suburbs, where it operates most of its nine MedPost Urgent Care centers, said Joel Keiper, DMC's chief strategy for officer in Detroit and Chicago operations. MedPost is one of several outpatient brands owned by United Surgical Partners International Inc., a company partly owned by DMC's parent, Tenet Healthcare Corp. of Dallas. "DMC had a long-standing culture of using its ERs as front door" to the hospitals, said Keiper, adding that a growing number of patients now prefer easier access, convenience and lower prices for nonemergency services. Over the past several years, visits to hospital emergency departments have declined as people have chosen urgent care centers more often. "There has been changing patient behavior and a shift in the market share data," Keiper said. "Emergency medical services visits are down 2 percent (this year) in the market, down about 25,000 visits. The bulk has gone to urgent cares. We are up 50,000 visits in urgent care and down about 6,000 visits in the ED (of 350,000 annual visits)." Because of the shift from inpatient to outpatient care, ambulatory, outpatient and physician office employment has skyrocketed the past decade to 7.5 million in July from 5.7 million in 2008, according to the U.S. Bureau of Labor Statistics. So far this year, the ambulatory sector has added 104,000 new jobs. In comparison, hospitals added 47,000 jobs this year to 4.7 million. Earlier this year, Ascension Health, the nation's largest nonprofit health company with 15 hospitals in Michigan, announced it would devote more resources in the future to outpatient and telemedicine services than traditional hospital-based care because of changing consumer demand and insurance company reimbursement policies, according to CEO Anthony Tersigni. In Southeast Michigan, Ascension operates five hospitals, including its flagship hospital Ascension St. John Hospital in Detroit, and dozens of employed physician offices, clinics and outpatient diagnostic and clinical centers. Ascension spokesman Brian Taylor said the Catholic system is looking to expand outpatient services for patients in St. Clair County and considering building new ambulatory care sites in northern Macomb, northern and western Oakland counties. Taylor said new telemedicine initiatives, which include behavioral health and neurosciences, also are expected to be developed. Moreover, remote care monitoring will make it possible for clinicians to track and manage patients in their homes. Online patient scheduling will provide easier access to physicians and clinics, he said. DMC's pediatric outpatient center strategy also is designed to be convenient for families and to allow for smoother care coordination, said Jacqlyn Smith, chief strategy officer with DMC Children's Hospital of Michigan. "We want to be in the families' communities and don't want to force folks to drive or travel distances," Smith said. "It is so much easier to follow through with appointments and to move from inpatient to outpatient." DMC has six pediatric ambulatory centers, including a major facility in Troy and in Detroit across from Children's Hospital. The other clinics are located in Clinton Township, Southfield, Dearborn and Canton. DMC also operates several ambulatory surgery centers and 36 rehabilitation outpatient clinics. 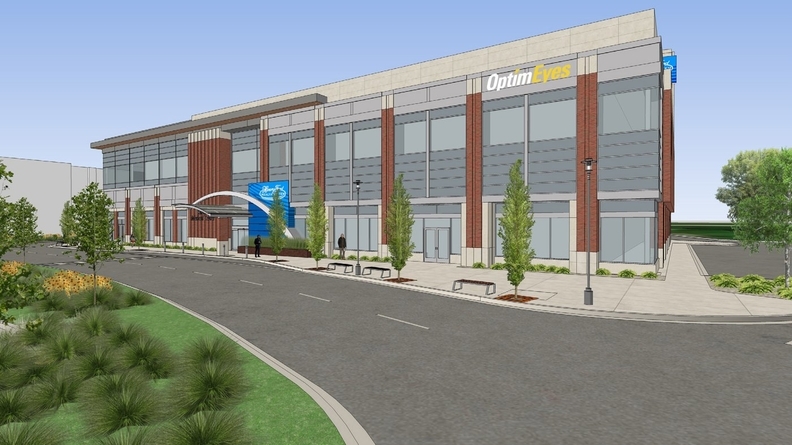 Earlier this year, Henry Ford announced it plans to open in the fall of 2019 a $38 million outpatient medical center at the Village of Bloomfield, an 87-acre mixed-use development in Bloomfield Township in Oakland County. The Village of Bloomfield is being developed by Southfield-based Redico LLC, which will also develop Henry Ford's medical center. Henry Ford's 29th full-service medical center at the Village will be a two-story, 83,000-square-foot facility. It will initially offer primary care and women's health, a walk-in clinic, pharmacy, OptimEyes clinic and retail services. Riney told Crain's that two more outpatient medical centers are being considered. He said a newly located and expanded Henry Ford Medical Center in Royal Oak will be built in the 10 Mile Road area sometime in 2020. However, an exact location has not been picked. The current location of the medical center is 26300 Woodward Ave., four miles south of Beaumont Hospital in Royal Oak. Another new site will be somewhere in Macomb County, Riney said. Another medical center expansion will likely happen Downriver in Brownstown Township, where Henry Ford operates a smaller clinic, he said. "Our goal continues to be population health strategy. We want a holistic way to treat patients," Riney said. "We see our hospitals as an important and critical part of our portfolio. We see ambulatory as a convenience level for the community. People don't want to travel far for care." Riney said payer reimbursement also is shrinking, and patients want lower-cost settings for care. "Patients definitely want outpatient if they can get it. There are more surgical procedures done outpatient than ever before because of technology." But Riney confirmed that one strategy Henry Ford pursued the past five years with CVS Pharmacy would be ending. Henry Ford Medical Groups, the system's 1,200-member employed group, has contracted with CVS to provide medical directors for several of CVS' Minute Clinics in Southeast Michigan. "CVS is moving away from managed care models in markets," said Riney. "They want to get away from a single or exclusive arrangement with a single provider. As they are moving away from that model, we are seeing more and more done on an ambulatory basis and are looking at how that gets organized." "Henry Ford, DMC aim to get closer to patients" originally appeared in Crain's Detroit Business.